GDS in Surprise Move Buys Safeway, Martens Volvo | Tenleytown, D.C.
Until recently, Safeway appeared to be moving forward with plans for a mixed-use development at its store on Davenport Street, which was expected to include up to 200 residential units atop a larger, modernized store. In April, Toby Bozzuto, president of the Bozzuto development company, was projecting a 2016 groundbreaking for the site, and at the May Advisory Neighborhood Commission (ANC) 3E meeting Commissioner Jon Bender announced that he had been informed that a planned unit development (PUD) filling was eminent. GDS has made no secret of the school’s interest in adding to its existing upper campus, and offered to purchase Safeway in the past. 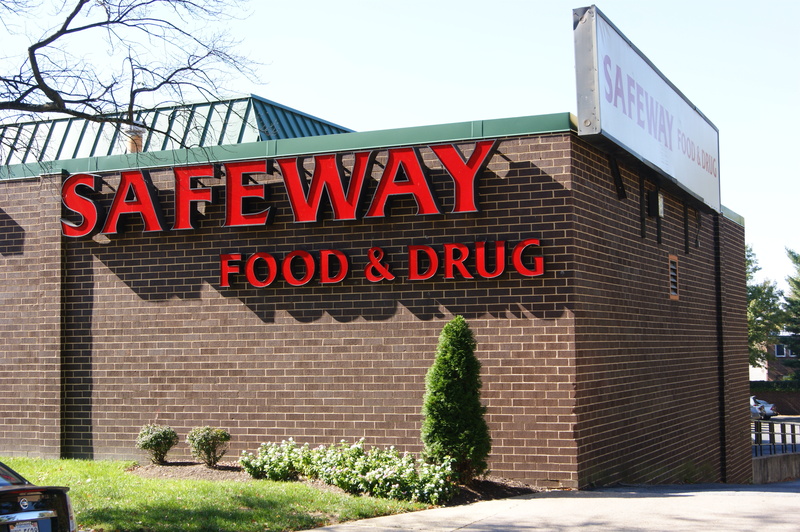 “GDS approached [Safeway] several times over the course of years and expressed interest in the property,” said Safeway spokesman Craig Muckle. However, in recent years GDS seemed more focused on trying to coordinate among Safeway, Martens and community groups to develop this area of Tenleytown to meet the school’s needs. ANC-3E chair Matt Frumin recalls that the school had led such an effort a little over a year ago, but acknowledged that coordinating the various players involved in the site was challenging. GDS spokeswoman Alison Grasheim confirmed that those efforts proved fruitless. “In previous discussions, nothing was coming out positively in terms of the school,” she said. The purchase of Safeway has a lot of residents questioning the future of this strip of the Wisconsin Avenue corridor. Long a dead zone between the center of Tenleytown and local businesses between Ellicott and Fessenden Streets, the residential/retail development at Safeway was anticipated to bring new life to the neighborhood. A fact sheet on the GDS website indicates that the school is open to exploring retail and residential options for the properties, in addition to the construction of an expanded school campus. However, GDS spokeswoman Grasheim says that it is too early to determine what types of businesses might be incorporated. She was able to confirm, however, that any residential or retail development would be concentrated along Wisconsin Avenue on the Martens lot. What won’t be part of any new development is a grocery store. The purchase agreement with Safeway prohibits GDS from opening one. On the heels of the departure of Fresh & Green, Tenleytown residents are mourning the loss of yet another grocery store. “Unsurprisingly,” says Commissioner Bender, whose single member district contains Safeway, “I am already hearing complaints from constituents about the loss to the neighborhood of the supermarket.” Whole Foods Market will become the sole grocery chain serving the community. Safeway will not depart immediately, however, and is expected to remain for another 10 months per a lease back agreement with GDS. Grasheim said that it may be possible for Safeway to renew its lease beyond the 10-month term. Safeway spokesman Muckle said that he is “not going to speculate” regarding a timeline for the store’s closure. However he assures residents that whenever it does close the community will receive plenty of notice; typically when Safeway closes a store it has to provide at least 30-days notice to its union employees. While he said it was premature to discuss whether Safeway might relocate within or near the neighborhood, he did say that “just because we’ve sold the store that doesn’t mean we may never return.” Muckle said it has happened in the past, though he wasn’t immediately able to cite an example. Residents however are nervous about what the future may hold. “Although relations between GDS and the community have been fine in the past few years,” said ANC Commissioner Bender “there were many years before that when they were not.” He said it was not a given that residents would welcome the addition of the middle and lower schools. Much will depend upon the planning process, the outcomes of meetings with the community and what GDS ultimately decides to do with the site. Have thoughts on the recent purchase of Safeway and Martens by GDS? Share them in the comments section.